Shipment tracking is one of the most critical services in supply chain management. Millions of dollars worth of goods are lost in transit every year due to a lack of visibility during the shipment process. Therefore, the ability to give an exact and immediate answer to the question, “where is my order?” is critical to the efficiency and robustness of any supply chain. 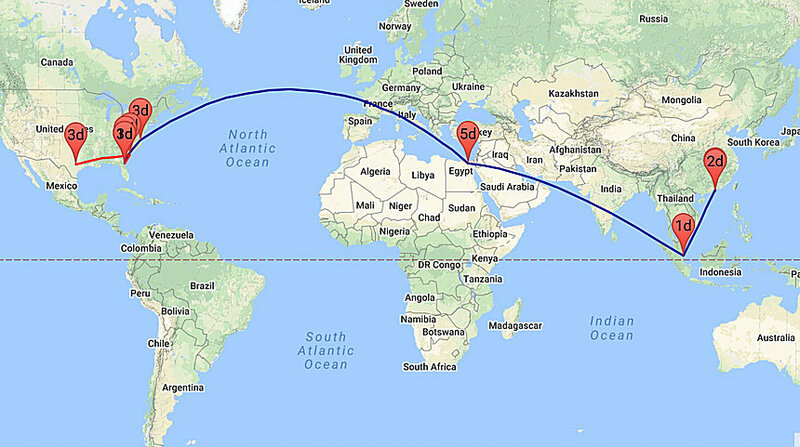 Our shipment tracking devices work anywhere in the world, giving customers insight into their shipment’s exact location. These devices also provide additional critical data, including atmospheric conditions such as storage temperature and humidity. This can be critical for industries that have rigid standards for transport, such as Pharmaceuticals and Food Supply, as it crucial to know the history of atmospheric conditions the shipment has gone through before reaching a destination. All of our devices measure only 3″x3″ in size, and weigh less than 12 ounces. The device constantly posts to TPSynergy while possible, and when it cannot (air travel, inadequate reception), it stores the data for future use. In addition, our IoT devices integrate seamlessly with our award winning supply chain software, allowing for painless data processing. Each shipment created by the supplier will have a hardware device attached to the shipment. With this device real time global location of the shipment is tracked. TPSynergy will alert for delay events based on the real time location signals from the IOT devices. Say, if a shipment is stuck in a location for more than x days. Complete travel history including vital statistics history are distributed into a block chain to ensure data security for future audits. IOT improves supply chain visibility to the next level. Vital statistics like temperature and humidity are logged and maintained throughout the supply chain. Reduces theft and delay of shipments. Inventory may be located in a warehouse or in-transit anywhere in the globe. 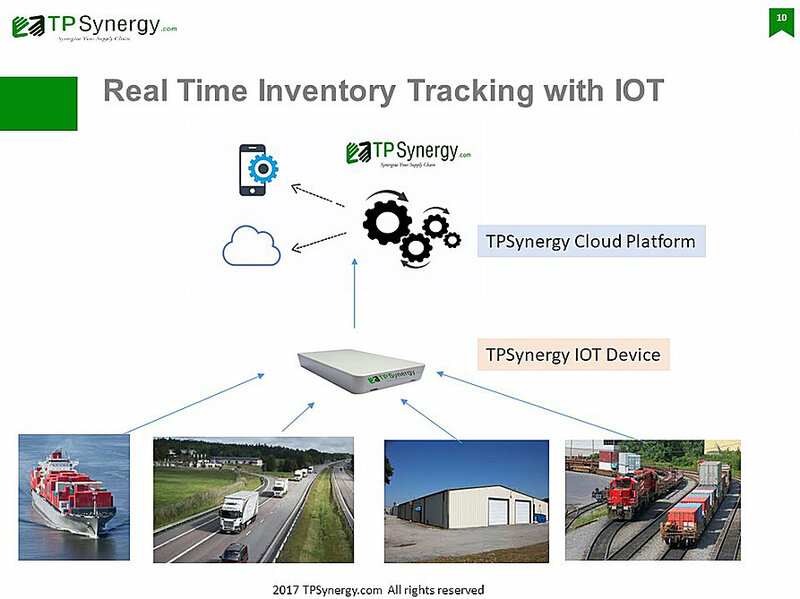 It can be tracked using TPSynergy’s IOT device and its cloud platform.